Many Panasonic camcorders shoot videos in MTS/M2TS format, such as Panasonic HDC-DX1, Panasonic HDC-SD10, Panasonic HDC-HS9/20/200/300/350 etc. Since the format is difficult to play, edit, or share, most of Panasonic users need to convert Panasonic MTS/M2TS files to other formats for wide uses. This article will introduce a powerful and easy-to-use Panasonic MTS converter to you (M2TS supported). 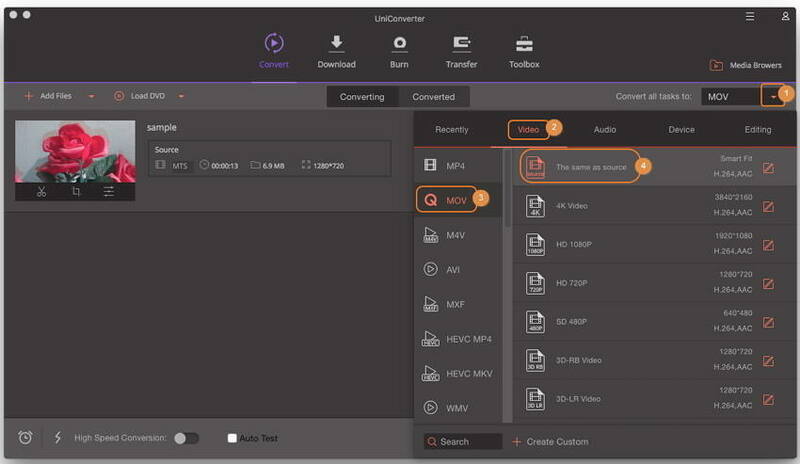 With it, you can quickly convert Panasonic MTS or M2TS files to AVI, WMV, MP4, MOV, MPEG and any other popular audio & video formats. Its name is Wondershare Video Converter or Wondershare Video Converter for Mac . Just with a few simple clicks, you can convert your Panasonic files to any format you want in very high video quality. 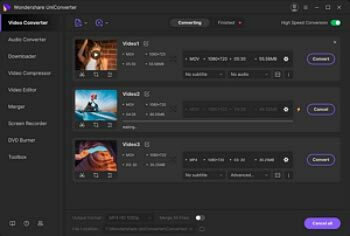 In addition, this app provides some classic video editing tools like cropping, trimming, rotating, adding various effects/watermark/subtitles, etc. This feature is very useful for you if you convert files just for editing in video editing programs, for it'll greatly simply your project. What's more, if you want to convert Panasonic M2TS/MTS files to some device for playback, this app will be the best choice for you. You can play your files on it with the best output effect by simply selecting the provided presetting for the device, without doing any other settings. Next, I'll show you how to use this smart Panasonic M2TS converter to convert Panasonic files step by step. Before doing this, you need to add MTS/M2TS files from your Panasonic camcorder to your computer. Step 1 Load Panasonic MTS/M2TS videos. Click the inverted triangle beside Add Files button and select Add from Camcorder to import your local Panasonic MTS/M2TS videos to this program. A window will pop up, select the files you want to convert and click Add to List to import these MTS/M2TS files. Note: If need, you can re-name the files, re-arrange the order, preview them by clicking the video thumbnails, or even combine them together into one file. Step 2 Choose a format or device as the output format like MOV. If you want to convert Panasonic MTS/M2TS files to some format, you can select it in this app's output format list. However, if you convert files for playback on some device, you can directly select the device as the output format. The provided output format for the device will certainly fit your device best. To open its output format list, just click the inverted triangle beside Convert all files to in the Output Format pane, and then go to Video > the format you want > the resolution or Device tab > device category > the specific device. Step 3 Edit your video files (Optional). This app can meet your basic video editing needs, such as trim, crop, rotate videos, and add video effects, subtitles etc. Simply click one of the Editing icons under the thumbnail, and then you can access various video editing tools in the pop-up window. Just have a fun! Step 4 Start converting Panasonic MTS/M2TS files. 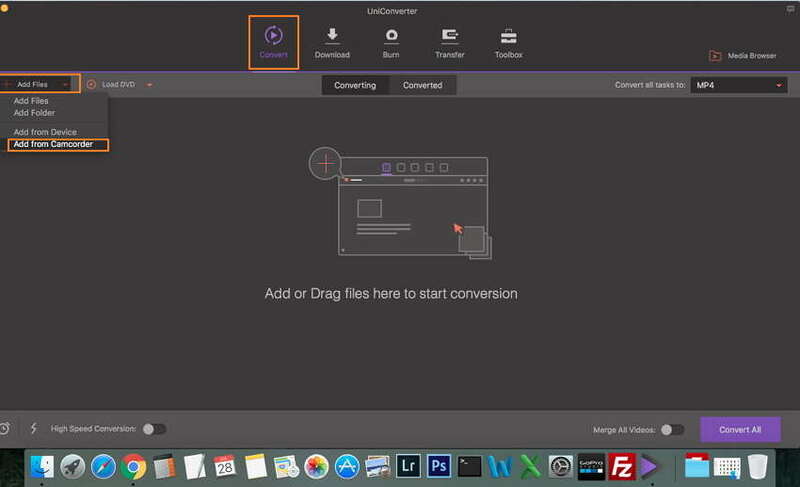 Start video conversion by clicking the Convert All button at the bottom-right corner of the program window. At this time, you can see the process bars that shows you the conversion process. When the conversion is over, simply click the Converted tab to get the output files. Now, you can play, edit or share your Panasonic MTS/M2TS files freely.